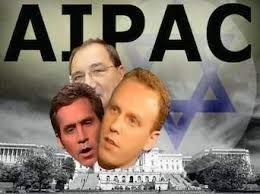 Shockingly, the terminological strategy that is used by the Right wing lobby AIPAC against Kerry is also implemented daily by the so-called Left and ‘progressive’ Jewish Lobby that seeks todominate the Palestinian solidarity discourse. Max Blumenthal ,previously a dedicated ‘Nazi’ hunter and currently an anti Zionist enthusiast, believes that he knows the elementary kosher criterions necessary to save the Palestinians as well as the correct terminology for their struggle. Both Blumenthal and Mondoweiss seek to dominate the terminology of the relevant discourse. But why? What are they afraid of?